In today's world, the needs for transportation have increased and the existing solutions have become insufficient in response to the demand especially with the increase of urban life and the widespread urbanisation. For this reason, local authorities aim to improve urban public transportation services, one of the effective in-city transportation solutions, in order to solve the current needs of transport and reduce or regulate the current traffic intensity. In this study, geographical information system (GIS) was used to analyse the relationship between the bus routes and related stops being offered by Sakarya Metropolitan Municipality (SBB) public transportation service along with the population living in the region to evaluate the level of available current service to the population in each region. An alternative optimisation for the locations of bus stops was presented through a proposed model by comparing the results obtained from the existing positions. Nurcan Uludağ, “Bulanık Optimizasyon ve Doğrusal Hedef Programlama Yaklaşımları ile Otobüs Hatlarının Modellenmesi” Doktora Tezi, Pamukkalae Üniversitesi Denizli, pp. 1-12, Mayıs 2010. 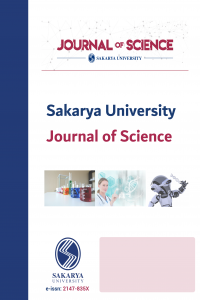 Dhananjay B. Nalawade, Ajay D. Nagne, Rajesh K. Dhumal, K. V. Kale, “Multilevel Framework for Optimizing Bus Stop” International Journal of Research in Engineering and Technology (IJRET), volume: 5, issue: 05, pp. 298–304, 2016. Rodrigue, J.-P., et al. “The Geography of transport systems” (Second ed.). New York: Routledge, 2009. Vuchic, V. R. “Urban Public Transportation Systems.” Unpublished Glossary of Terms List of Abbreviations. University of Pennsylvania, 2002. R.G. Farewell and E, Marx., “Planning, implementation and evaluation of OmnRide demad-driven Transit Operations: Feeder and flex-route services” Transportation Research Record 1557, pp. 1-9, 1996. M.FLetterman, “Multi –Realisation of Nonlinear Systems”, University of Pretoria, Thesis, 2008. Chien, S and Schonfeld, P., “Optimisation of Grid Transit System in Heterogeneous Urban Environment”, Journal of Transportation Engineering, 1997 123(1), 28-35. Jahani, M., Hashemi, S.M., Ghatee, M and Jahanshahi, M., (2013) “A Novel Model for Bus Stop Location Appropriate for Public Transit Network Design: The Case of Central Business Districts (CBD) of Tehran”, International Journal of Smart Electrical Engineering, Vol.2 No.3, pp: 133-141, 2013. Wei Xuebin, “Optimizing Bus Stop Locations in Wuhan, China” International Institute For Geo-Information Science And Earth Observation Enschede, The Netherlands, February, 2010. Transit Cooperative Research Program, “TCRP Report 19, Guidelines for the Location and Design of Bus Stops,” National Academy Press; pp. 18 Washington, D.C., 1996.